Even vampires need a little help reaching out. Actually, self-proclaimed vampire, Avery Krouse, is the telerecruitment team leader for Blood Assurance, a regional blood bank in the South. He’s responsible for contacting thousands upon thousands of potential blood donors in an effort to supply more than 60 health care facilities with this precious crimson commodity. And, quantity is the name of the game when soliciting for blood donations. According to the American Red Cross an estimated 38% of the U.S. population is eligible to donate, but less than 10% actually do each year. What this means is blood banks like Blood Assurance have to put out a lot of feelers in order to receive a fraction of responses. Krouse tells CallFire that a vendor provides upwards of approximately 12,000 potential leads at a time for Blood Assurance. “To call it would be much more than [anyone] could do in a reasonable amount of time.” So, Blood Assurance needed a solution that could handle the bulk of calls efficiently. This is where CallFire outshines other communication means. 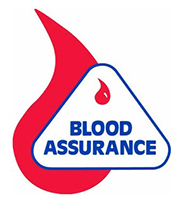 And, the demand on Blood Assurance continues to grow as the need for blood increases. Currently, there are offices serving Tennessee, Georgia, Alabama, North Carolina, Kentucky and Virginia, including several mobile donor buses. Krouse said that they have also just recently expanded in the tri-cities, Tennessee area. To fill blood banks is a daunting task, indeed. Thousands of phone calls need to be placed on a weekly basis, which turn into a mere drop in the bucket in terms of actual donations. So, with no time to waste, Avery Krouse and Blood Assurance needed a solution that was not just affordable and efficient, but easy to use. “I found it very easy to use and anything I had questions with, there are the tutorials that are on your [site] that are super easy to use,” says Krouse.